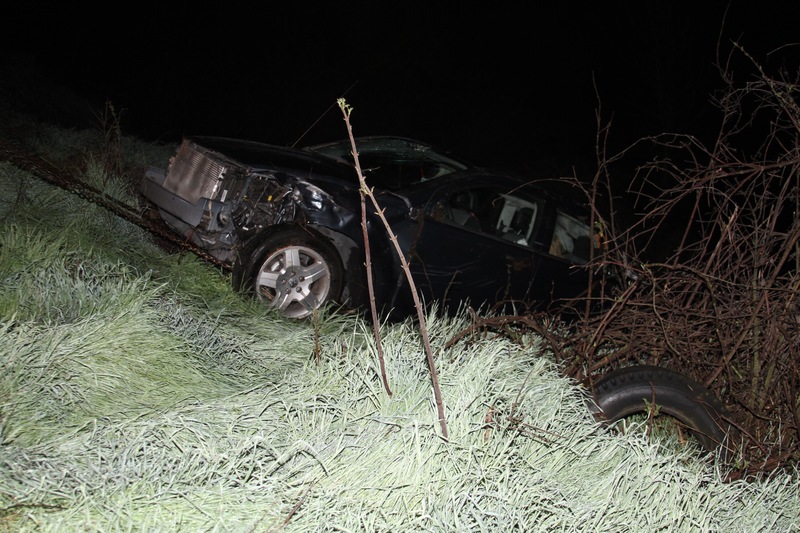 Solo Vehicle Accident on East River Road near the Stanislaus River. 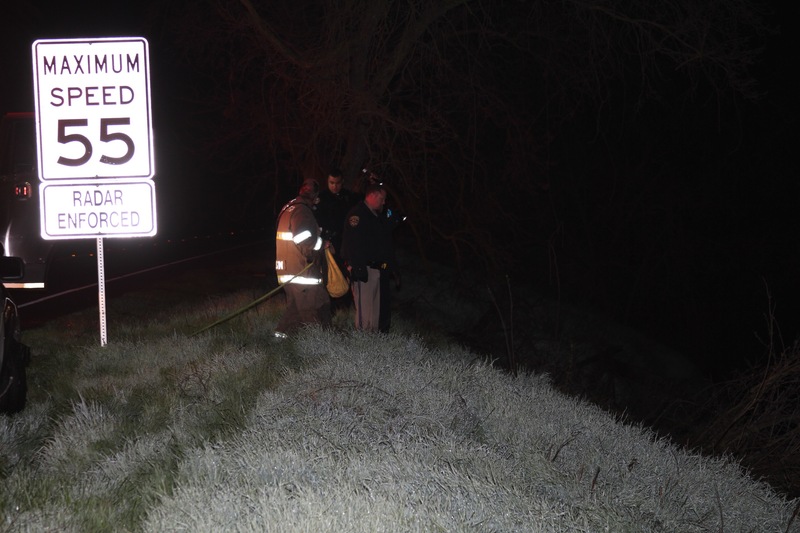 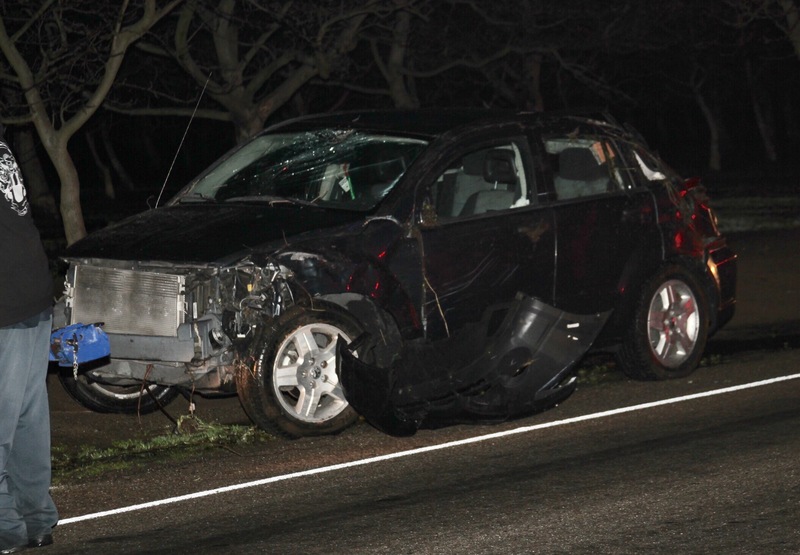 Last Night’s Solo Vehicle Accident – East River Road, just east of McHenry Ave.
On Tuesday, January 19, 2016 at approximately 11:02pm a solo vehicle accident occurred on East River Road, just east of McHenry Avenue near the Stanislaus River. 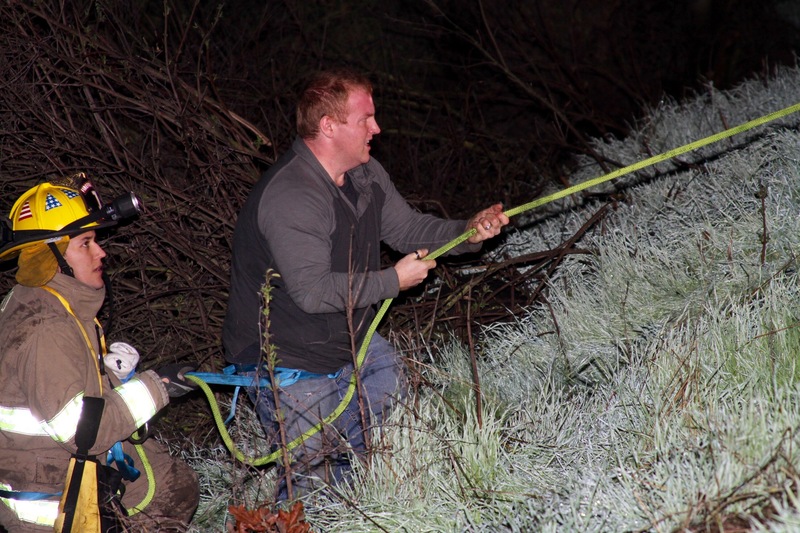 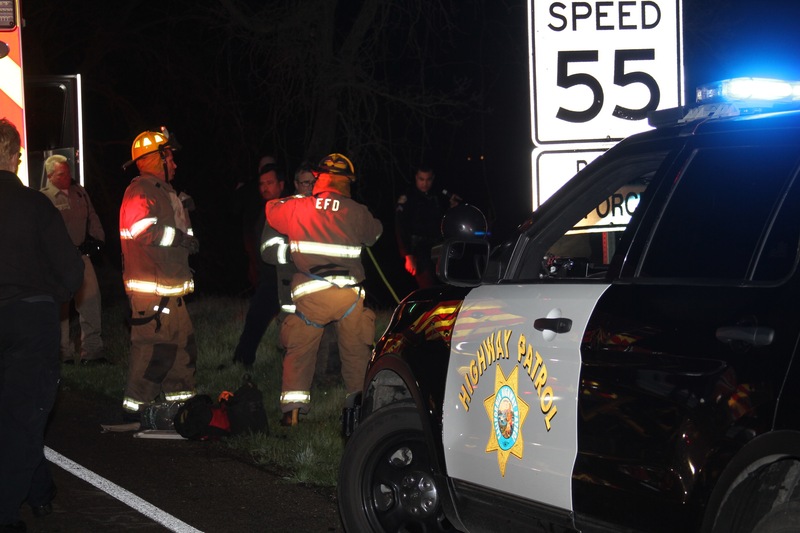 California Highway Patrol along with Escalon Police, Fire and Ambulance services responded to an accident scene in which a vehicle left the roadway, went down an embankment and the driver was still trapped inside. 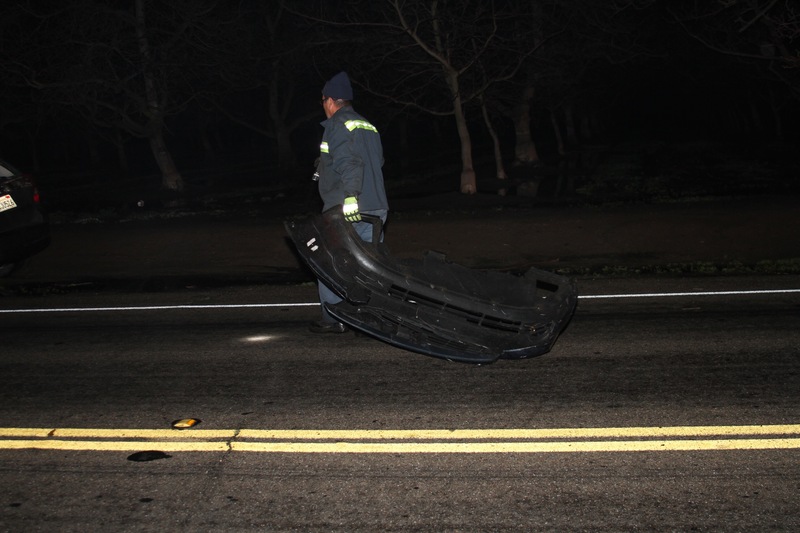 The vehicle was westbound on East River Road and for some reason the driver lost control of the vehicle. 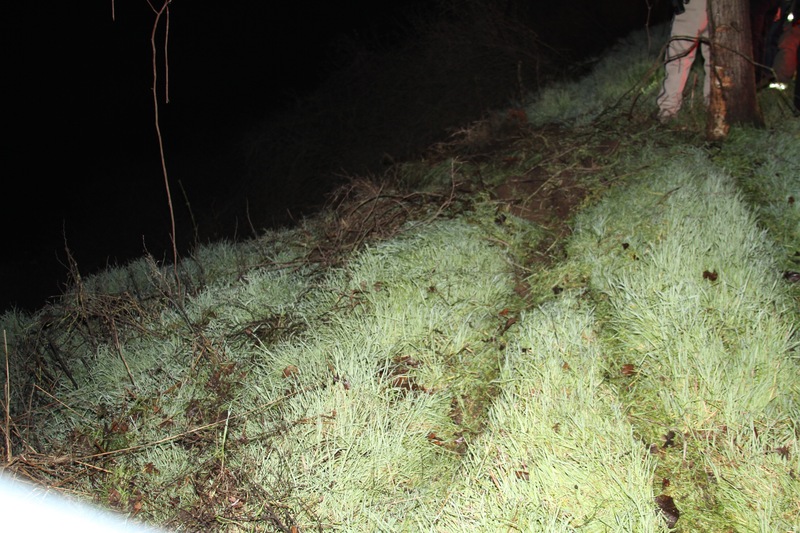 The path of the vehicle lead the driver on a scary ride down the side of the River’s embankment before landing on its side in thick vegetation and brush. 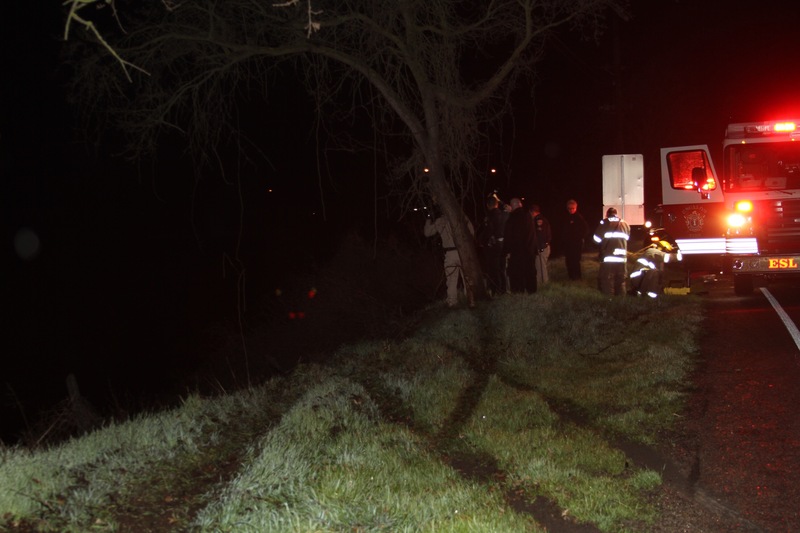 The vehicle ended up very close to the waters edge with the driver still pinned inside. 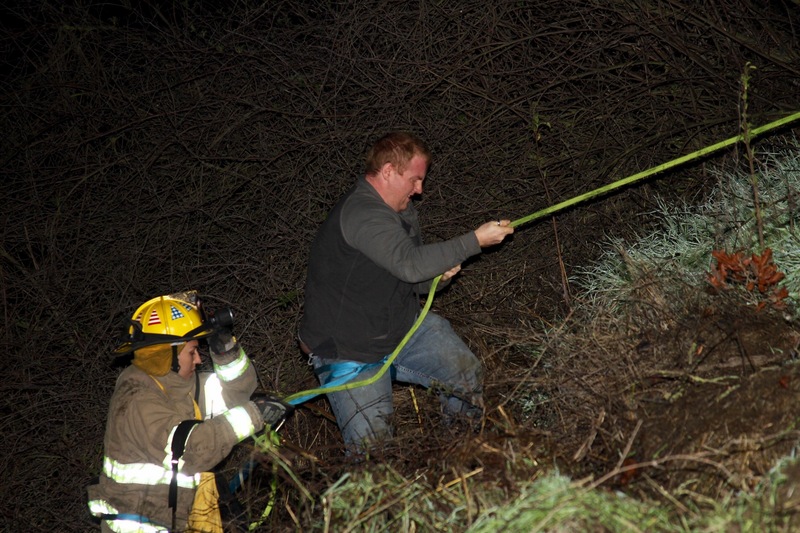 Emergency personnel were able to rappel down the side of the embankment to assist the driver out of the vehicle and back up to the roadway. 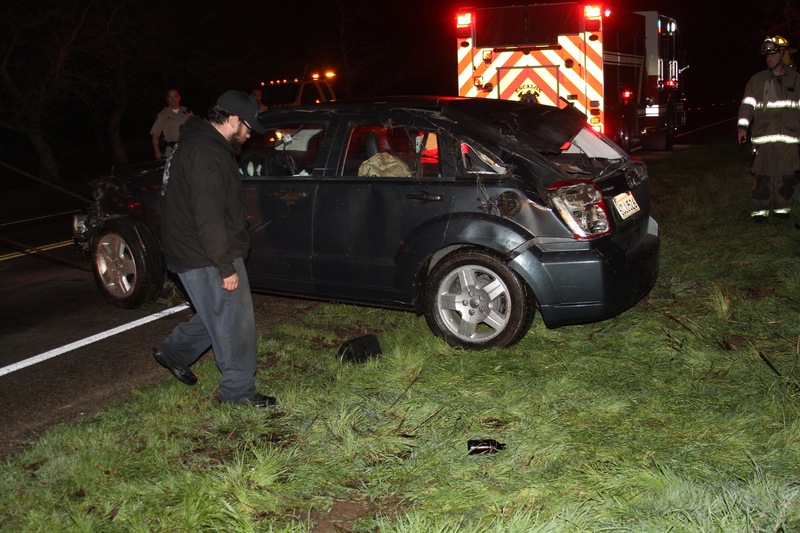 McDowell and Davis tow service was dispatched to retrieve the vehicle from the waters edge and to remove it from the accident scene. 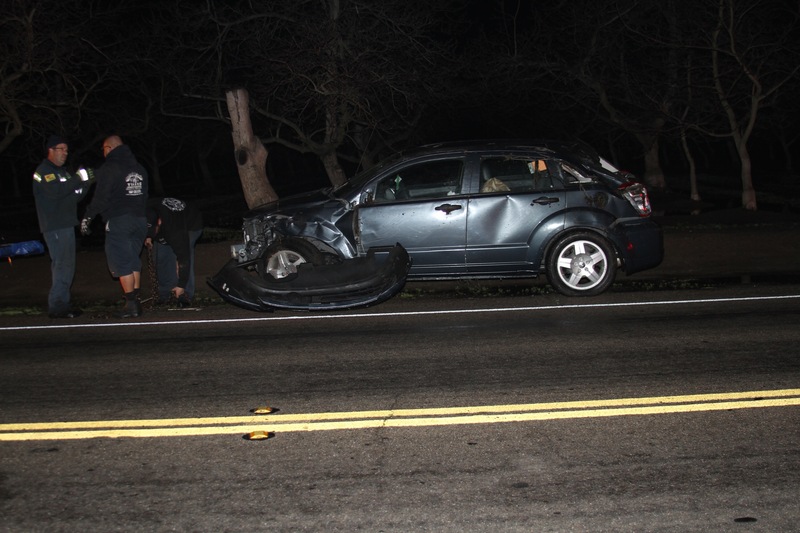 Operator error may have been the factor in this accident. 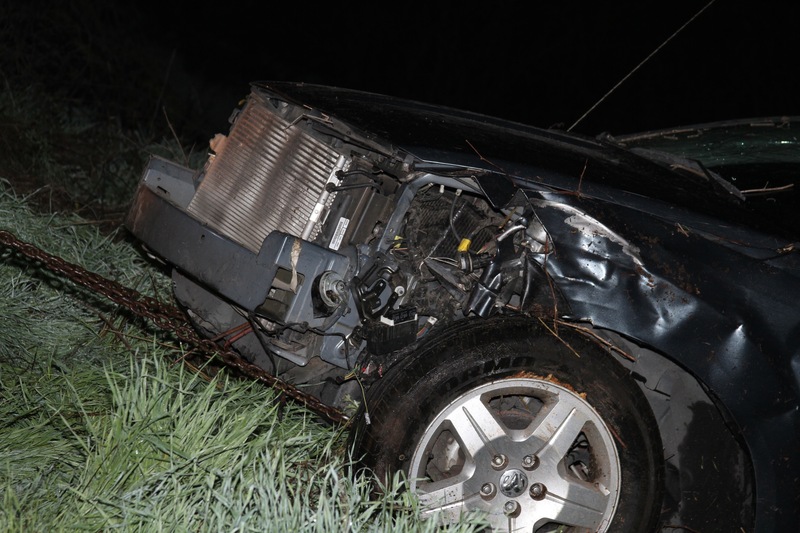 Drugs or Alcohol did not appear to be involved. 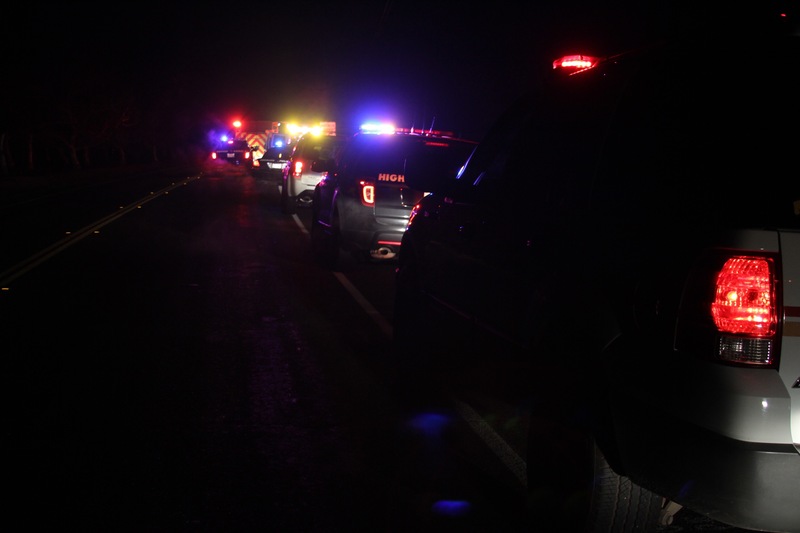 Previous Previous post: ESCALON POLICE LOG FOR JANUARY 09, 2016 THROUGH JANUARY 15, 2016. 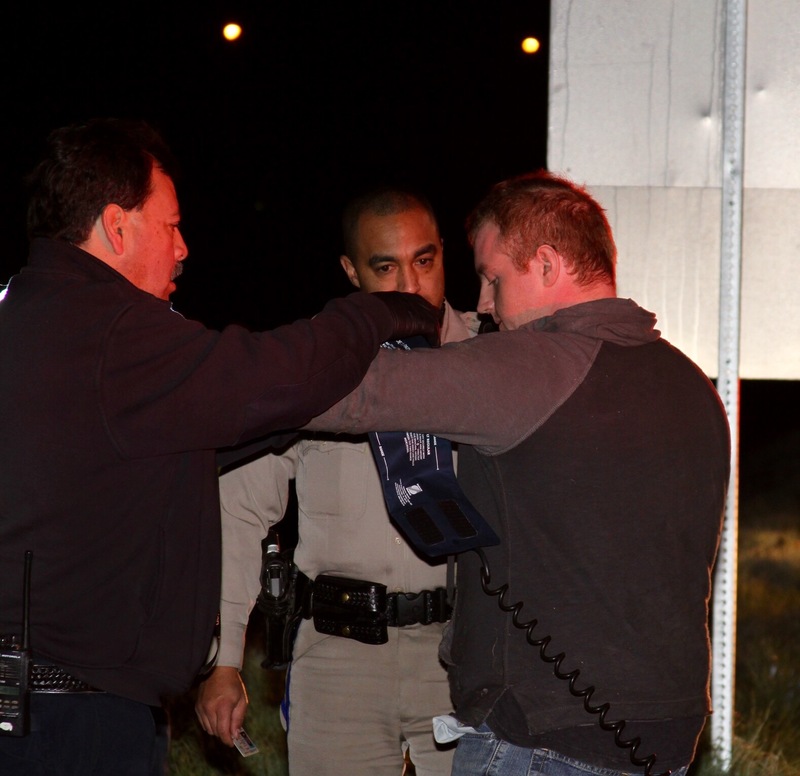 Next Next post: ESCALON POLICE LOG FOR JANUARY 16, 2016 THROUGH JANUARY 22, 2016. 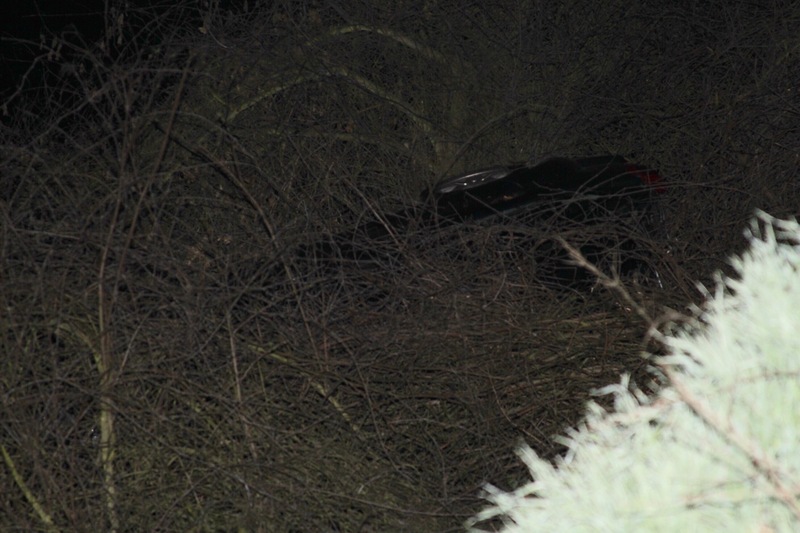 WeEscalon Solo Vehicle Accident on East River Road near the Stanislaus River.